Russian President Vladimir Putin has descended to the Black Sea bed in a bathyscaphe off Crimea to see the remnants of 11th century ships. Russian President Vladimir Putin has descended to the Black Sea bed in a bathyscaphe off Crimea to see the remnants of 11th century ships, Life News TV Channel reported on Tuesday. The TV Channel aired talks between the submergence controller and the head of state who said he had discovered the remnants of ships and a large number of amphorae. 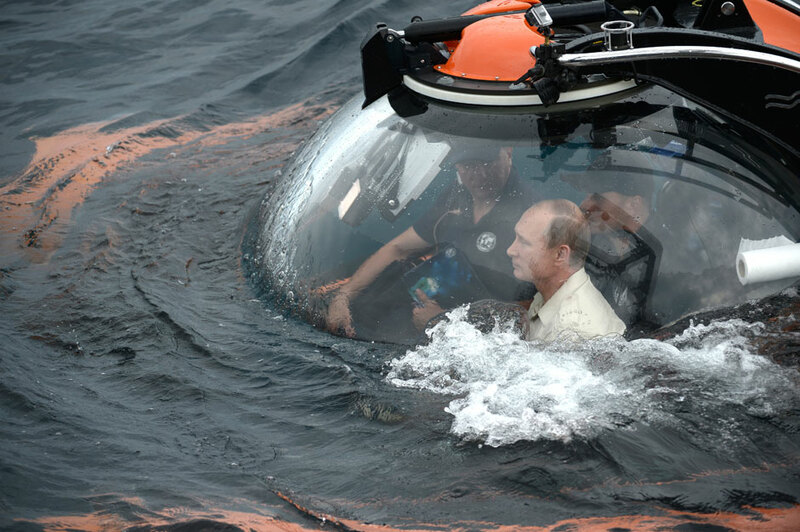 Putin earlier made an underwater voyage in Lake Baikal when he submerged to its bottom in a submersible in 2009. In August 2011, he scuba dove in the Taman Bay to see the so-called Russian Atlantis - the submerged part of the ancient city of Fanagoria. He also took a dive in a submersible to the sunken sailing ship Oleg in the Bay of Finland in 2013.